Let's Talk About Tonight's Walking Dead Finale, Shall We? Well, it was a mid-season finale. The Walking Dead likes to save its major events for premieres and finales. So although we knew the Negan/Rick conflict wasn’t even close to over, and—hmm? What? You just want to talk about that last-minute shocker? Yeah, okay. 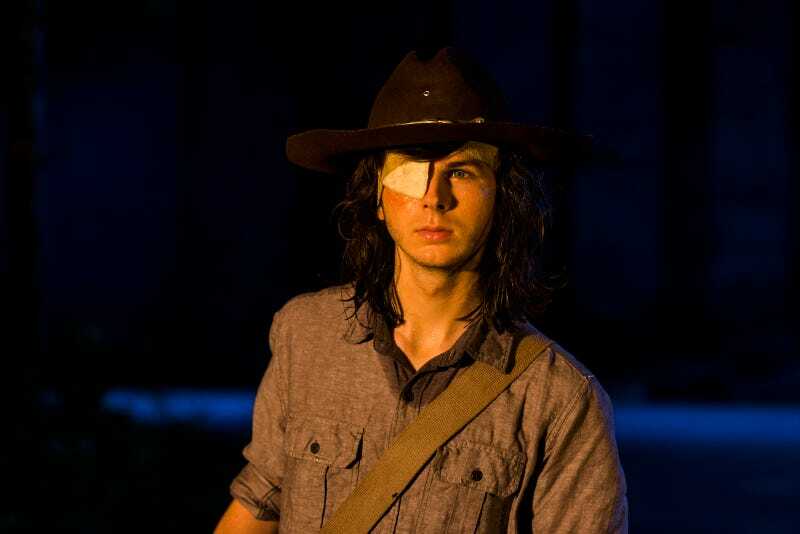 So Carl basically spends most of the episode being pretty rad. When Negan and the Saviors come in vengeance, he takes charge and gets everyone out of town while he talks to the Saviors and delays them. Carl even offers to be the sacrifice he knows Negan will demand in retaliation for the attack. When Negan has had enough and blows the gate in, Carl grabs an enormous pile of smoke grenades and continues distracting the Saviors until he escapes down into the sewers, where all the Alexandrians have preplanned to meet, all while Negan’s men blow Alexandria to hell. Bye, Alexandria! And when Rick and Michonne join the ex-Alexandrians in the sewers, they’re in literal shock at everything that’s just happened, and that’s when they come across Carl. I’m sad to see Carl go—and he is definitely dead unless the show pulls something ludicrous out of its decaying skull—but I’m not sure I liked the way this went down. I’ll have more in the official recap tomorrow morning, but for now please give me your thoughts on whether Rick will spell his son’s name “Carl” or “CORAL” on his tombstone in the comments.